The Financial Divorce Specialist will offer a 10% discount to any referral that comes from the Divorce Angels. Wendy is a Registered Family Mediator (RFM), a Collaborative Professional, a Certified Financial Planner (CFP), and a Chartered Financial Divorce Specialist (CDFS). She is a veteran in the financial planning and money business, has the training, experience and is a trusted professional whose passion is educating and helping individuals. Wendy has educated and helped many clients understand their financial situation prior separation or just wondering what a divorce would look like financially. She helps them get organized, educated and helps them to understand and think about their situation. That might include; income, support, cash flow, debt, and protection for life, disability, health, retirement planning, tax and estate issues. She helps clients understand the numbers behind Child Support, Spousal Support and Division of Assets. Lawyers will often refer to Wendy for clarity on complex financial issues. In the middle of negotiations, she has often moved the process forward either through mediation of the financial situation, analysis of self employment income and proposal outcomes or discussing alternative and viable financial options. Just because you are offered 50/50 doesn’t always mean you are being offered a fair deal. Wendy wants to make sure clients understand their settlement options and have no regrets after negotiations are over. When it’s time to move forward, she provides holistic planning and is one of a few with the divorce knowledge and experience who is also licensed in Alberta to discuss and advise on investments, exempt securities and insurance. She is a Collaborative Professional and Registered Family Mediator, providing neutral and unbiased strategies is key so that the clients can keep more of their money in their own pockets. Wendy sits on the Calgary Collaborative board. She has participated in training at the Calgary Law Faculty, and has been a guest speaker for organizations such as CBA, CFDA and more. Wendy supports the YWCA in Calgary, including Walk a Mile in her Shoes & Y Whisper. Wendy’s mission is to Educate Enrich and Empower. She teaches her clients that knowledge is power...ful! With knowledge, you can make educated decisions that can be life changing. When you make good decisions, you feel more in control and that can be empowering. Wendy developed Wealth Wellness Inc. 15 years ago after working in banking for more than 20 years. The Financial Divorce Specialist Inc. was then created from hearing many comments regarding separation and divorce like “I wish I knew that”, “Why didn’t anyone tell me that” and referrals where clients just needed good honest help. Wendy is committed to promoting a better way. 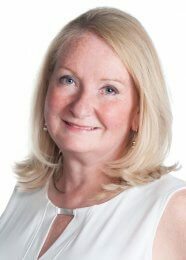 Wendy’s passion is to help clients with their situation around money, whether it is before the marriage starts or when a separation happens, in the middle of negotiations, or after the fact of divorce when clients are ready to start a new chapter of life. Wendy finds that one of the biggest challenges is getting the word out to the public that there are many ways to get divorced and learning about the different ADR (alternative dispute resolution) options is key. Wendy promotes and practices ADR whenever it makes sense. She finds that another key to success is helping clients get the emotional support they need early in the process. She has great partnerships with the other professionals (mental health professionals, parenting coordinators, collaborative lawyers, pension specialists, CPAs, life coach’s & more) to ensure the proper help is in place. Wendy practices in Calgary and the surrounding area but can also offer long distance engagements.